As you approach the car head-on, the very first thing you notice is the new seven-slot grille that, no matter how hard you try, still reminds you of Jeep’s grille design - specifically, the Compass’. Apart from that, the new bumper has been restyled and the fog lamps, which are bigger in size, have chrome garnishing around them. Apart from the new upper and lower grille with mesh-design inserts, there is also a new skid plate underneath. Move over to the side and you’ll find new 17-inch alloy wheels. Apart from those, there are turn indicators on the outside rear view mirrors (ORVMs). Its predecessor featured turn indicators on the side gills instead. The air extractors for the last set of side windows have also been tweaked. At the rear, the plastic cladding that surrounded the number plate has been given a miss. Instead, there is a rear number plate applique that houses the rear number plate lights and the rearview camera. The clear-lens tail lamps have been replaced by red-lens units. The rear bumper gets a redesigned footstep to complete the exterior styling changes. The fully-loaded version of the updated Scorpio gets a new dual-tone upholstery. Although the blue-grey colour theme remains, the fabric has been replaced by faux leather. Even the steering wheel and the gear lever are draped in the new upholstery. The cabin also gets a roof-mounted sunglasses holder and bigger cubbyholes, including a mobile holder. 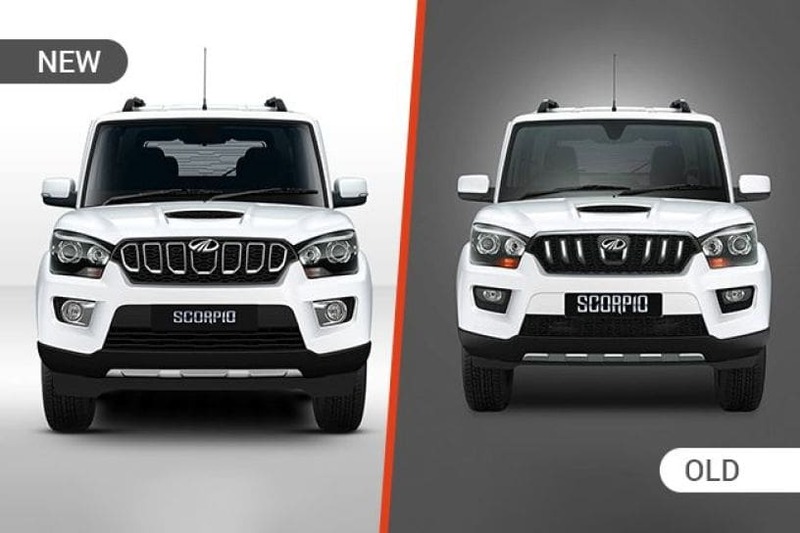 On the features front, the Scorpio facelift comes with a reverse parking camera with dynamic assist, one-touch lane change indicator and one-pinch power window roll-up for the driver. This is where the updated Scorpio really outshines its predecessor. In addition to the 120PS/280Nm state of tune, the same 2.2-litre mHAWK diesel engine is also available with 140PS/320Nm at its disposal. That’s 20PS/40Nm more and makes this iteration of the Scorpio the most powerful ever. There is also a new 6-speed manual transmission in the mix. However, Mahindra is only offering it with the more powerful motor.